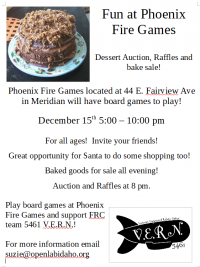 Games and Dessert at Phoenix Fire Games! 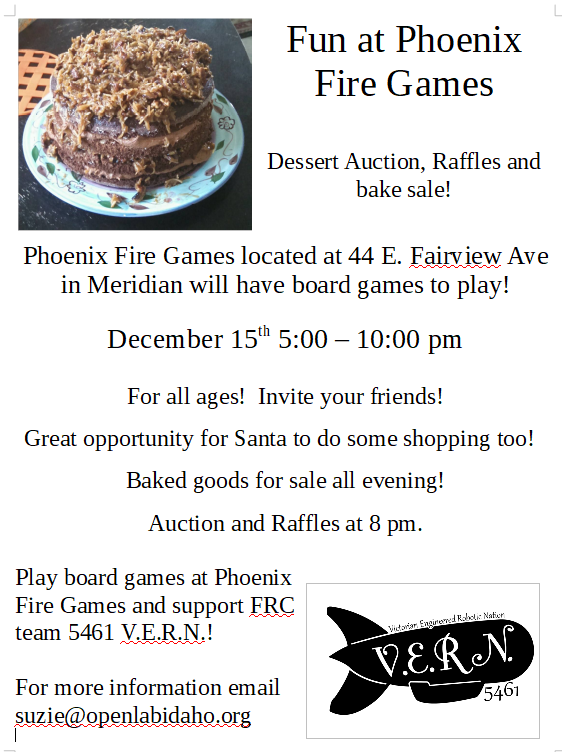 Come and play games and bid on desserts and raffle prizes while munching on amazing goodies! Saturday December 15th from 5-10 pm with the auction at 8 pm! There will be LOTS of FREE Games to play! Desserts and prizes to bid on! PLUS LOADS of great goodies to munch on! All while supporting FRC team 5461!